Frozen pipes can happen to any home or business, but if you take the proper steps to protect them, you can lessen your risk. 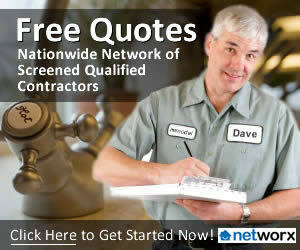 Obviously, frozen pipes will occur more often to those pipes that are exposed to severe cold and wind. These include your garden hose, hoses in crawl spaces, attics, basements and pipes that run outside the wall of your home. If these pipes are not insulated, you will be more prone to have some frozen pipes. Why do we get Frozen Pipes? As water starts to freeze, it expands and creates pressure inside whatever is holding it – such as a hose or pipe. You would think the pipes would be strong enough to hold in this pressure, but eventually, these pipes can freeze and break. Insulate any exposed pipes – the more insulation, the better. Heat tape or thermostatically-controlled heat cables can be used to wrap pipes. If you think your pipes have frozen, turn off your water at the main shut valve and leave faucets turned on until a professional arrives. Taking a few easy steps can help prevent frozen pipes in your home. 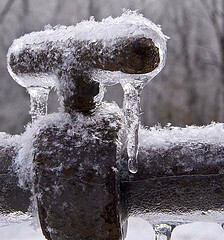 Not only do frozen pipes tend to cause costly repair bills, but you will be super cold until you can get them fixed! Do you have any tips to prevent Frozen Pipes?